I sat in my car today under a fragrant plum blossom tree which showered the pavement with white celebratory confetti, listening to the Ira Glass radio program “This American Life” on women in science. March is Women’s History month, and so much of our amazing, accomplished history needs to be resurrected. In the radio interview, three authors of books and a documentary on several brilliant discoverers and explorers told of the woman who first mapped the ocean, an astronomer who found new galaxies, the first inventors of computers, the discoverer of pulsars. And of course how crystallographer Rosalind Franklin’s images of DNA were stolen by Watson and Crick and never credited to her. These are all old, old stories. Much of what presently passes for power is really fear. The old patriarchal story was created from the myth and illusion of a separate self that must be defended at all costs. It is a story that is dangerous and harmful to all, including the men who live it. The good news of this month is that there are rare and potent cosmic energies -the solar eclipse, supermoon and spring equinox – that bring a superabundance of Divine Feminine creativity to assist us all in releasing these false old stories and to reimagine a more beautiful and true new story. The present planetary alignment echoes the 1960’s, a time of deep revolutionary change, leaps of consciousness and vast social movements. This time the changes can be more firmly rooted and grounded leaving us in a new reality. The Primetime women who came of age during the 60’s are especially gifted and called to a new story which will benefit all. This New Moon eclipse in Pisces symbolizes the completion of an old story about yourself and your role in the world, and the dissolving of false illusions that once sustained your life. 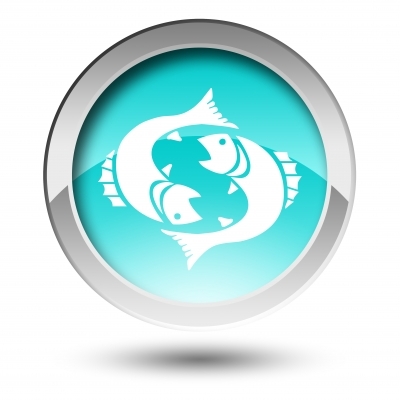 The two fish of the Pisces symbol facing in opposite directions swim in an Ocean of Being, of Oneness. But I also see them as looking towards the past, or towards the future. This super moon so close to Earth is bringing to light your soul’s mission. A profound new beginning, a new story, is possible for you now with abundant energies available for your wild freedom and success. Time for a fresh start! There is an enormous infusion of Divine Feminine consciousness, energy and the power to create and to change. This new story must have a deep alignment with your soul to truly awaken you and move you along the evolutionary pathway you are meant to travel. It very possibly is a time to face some shadows of your old story but you have the courage and strength now to look at them head on. The changes you have been burning to make are now possible. Do you have a project, a business, a long held dream you have been yearning to manifest? This month is a time to anchor a new sense of responsibility for the power you do have, to release the trappings of the false self. To start living in your wild zone, the zone of your genius. Even your challenges can be springboards for a bid to power. Ask for support from allies, guides, the elements, your dreams. Find and anchor a new sense of responsibility for giving your gifts and for breaking through the barriers of your own self limiting beliefs. Set intentions and get clear by imagining, affirming and taking action towards the story you now want to live. Draw, write, do a collage, write your business plan, make that phone call, share your intention in a trusted group as you both picture and feel in all your senses how you want to live. Never believe you don’t make a difference. Every thought, belief and action you create has a morphic resonance and enlivens the archetypal and quantum field in which we all swim. Choose your path. Define power and success for yourself. Extricate yourself from the trappings of deadening thinking and no-win stories that close your heart. We are all called to be the healers of our times. This is a defining moment amidst rapid change and chaos, the destruction of so much of our beautiful planet. The imagination creates. It is through the imagination that we begin to reclaim the gifts of the feminine spirit, the first of which is joy. We women are myth makers. We are called to service. Heed the call. Follow your wild heart. “The heart’s way of knowing opens the door to the stars, to non-limited seeing and healing,” writes Miriam Greenspan in Dark Matter, Women Witnessing. As we move past the Pisces eclipse, we can choose our direction: Sinking back into our old story, or forward with our new story. The strongest calling of this time is for us to free ourselves from fear, insecurity, and the illusion of separateness that the patriarchal old story clings to. We women are mythmakers, the tellers of the new story. Freed of past illusions and the limitations of our old stories, it is time to go all out to create our future. Wants to flourish in love. Nice post! Truly an awakening!